GIVEAWAY ENDED MAY 8TH, 2017. Congrats to Jeremy Barnett of Alvin, TX. Cummins Inc, was started in 1919 in Columbus, Indiana. Ever since that day, they have built a reputation as a leader in diesel engines. When most hear Cummins, we almost immediately associate it with Chryslers Dodge Ram pick up line. But the Cummins built engines can be found in a wide range of equipment and vehicles. In 2016, Nissan began offering a completely redesigned Titan XD that utilizes a 5.0L V8 Cummins diesel motor, capable of producing 310 HP and 555 ft. lbs. of torque. 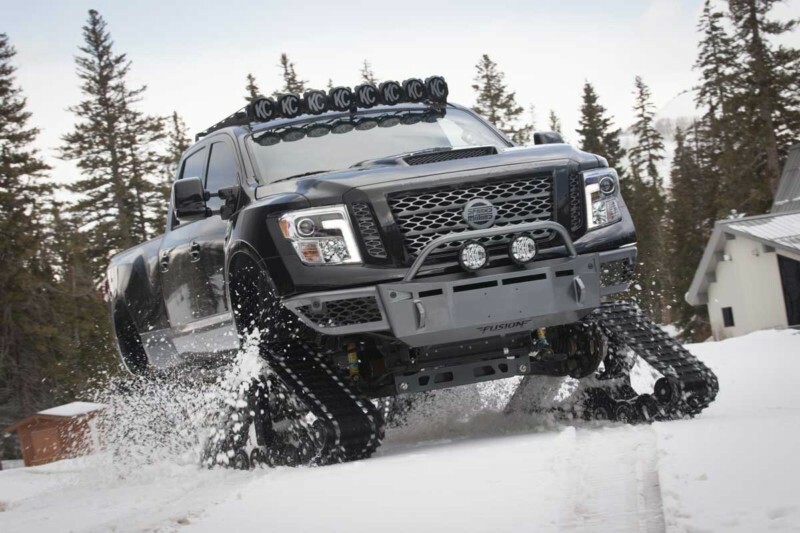 When it comes to “American Made”, Nissan takes the cake with the new Titan XD. 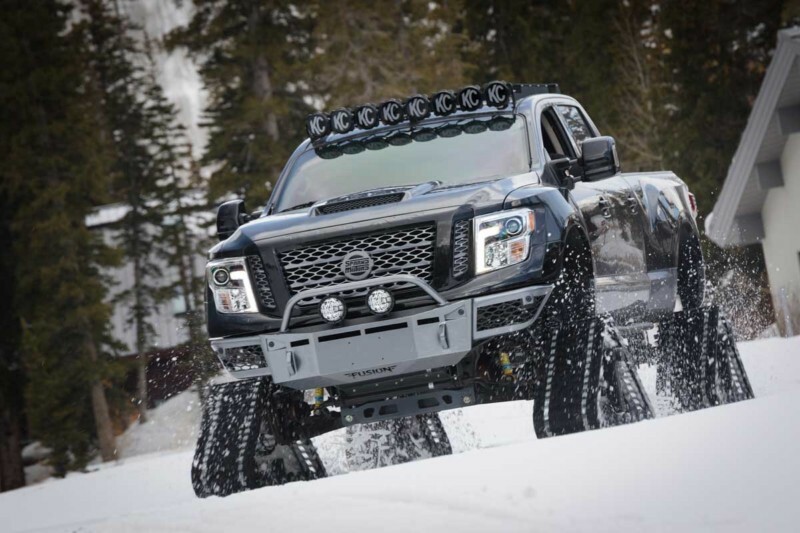 From the core planning, engineering, and design that takes place in Tennessee, California, Michigan, and Arizona to the actual assembly taking place in Mississippi, and of course the powerhouse Cummins which is created in good ol’ Tennessee (and some in Indiana), the Titan is a true, American-made pickup truck. 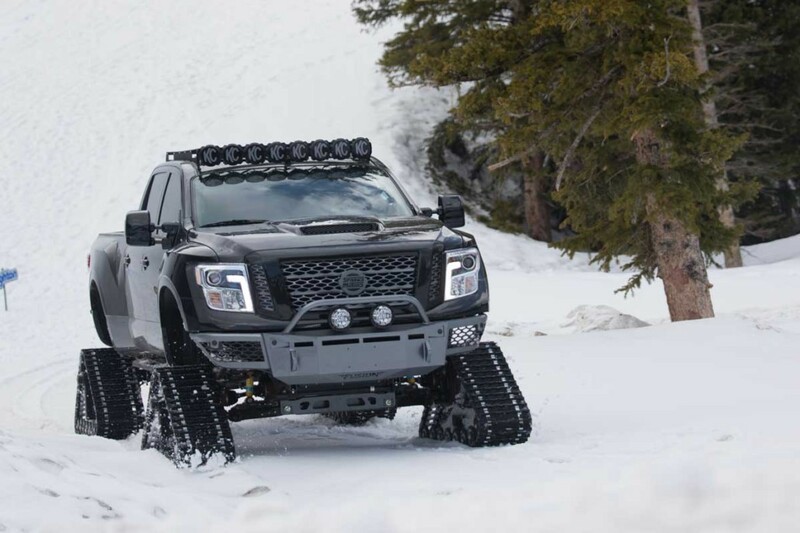 Heavy D originally brought this 2016 Titan XD into the shop back in mid-2016 in its stock form and somehow it managed to stay that way for nearly six months as it fulfilled his daily driver needs. 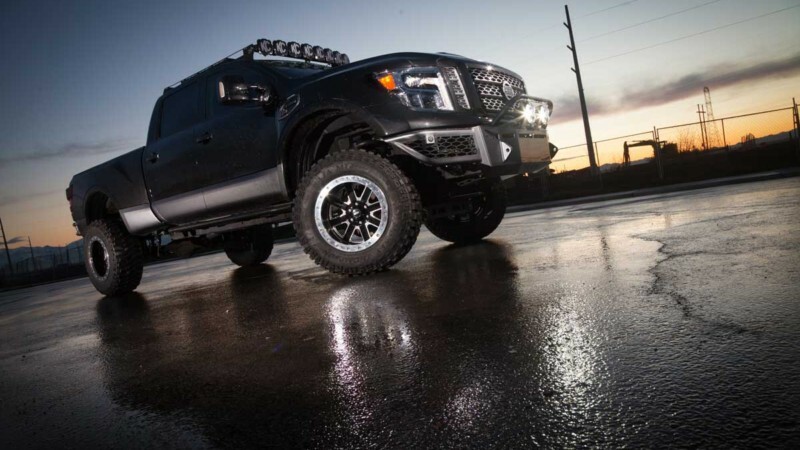 Heavy D recently picked up a new daily driver and that’s when the Titan went under the knife. 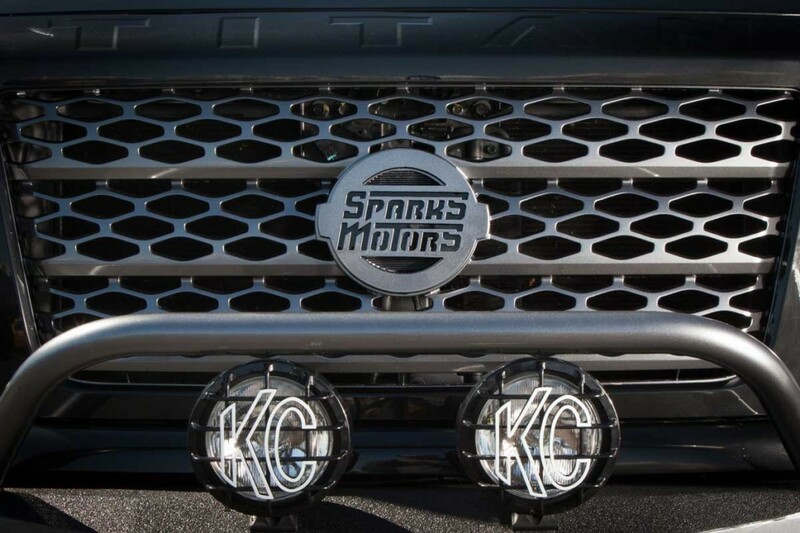 We now introduce to you the latest Sparks Motors build and our newest giveaway truck – The Titan. This 2016 Nissan Titan XD has been given a complete facelift and we couldn’t be happier with the results. 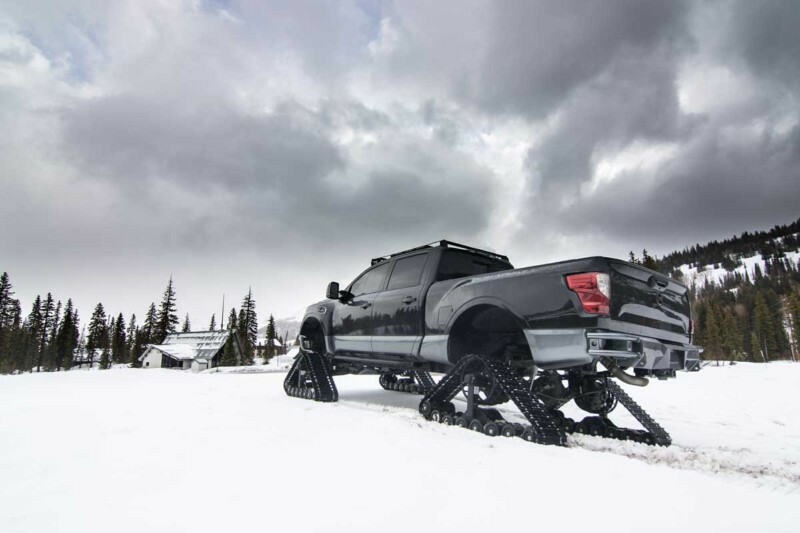 We started with a 6 inch Calmini lift kit with adjustable tubular upper control arms that gets it up off the floor and provides room for the 37″ Mickey Thompson tires (or the included set of American Track Truck Dominator series tracks)! 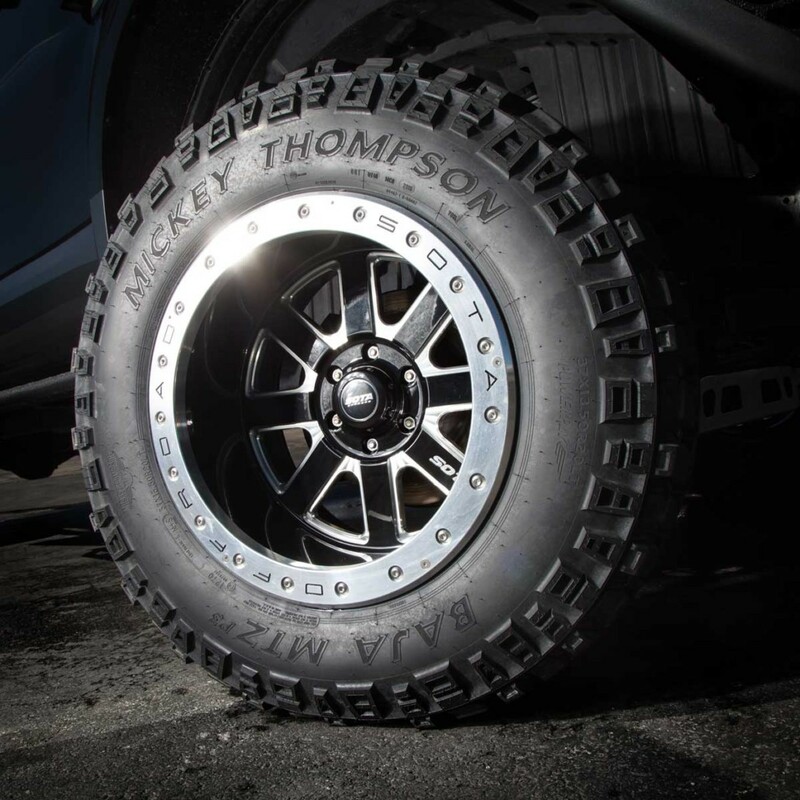 McNeil Racing came through with a full set of fenders and bedsides that widen the appearance of the truck, as well as provide coverage for the wider stance and tires. Our good friends at Fusion Bumpers helped us out with some custom built bumpers (front and rear). 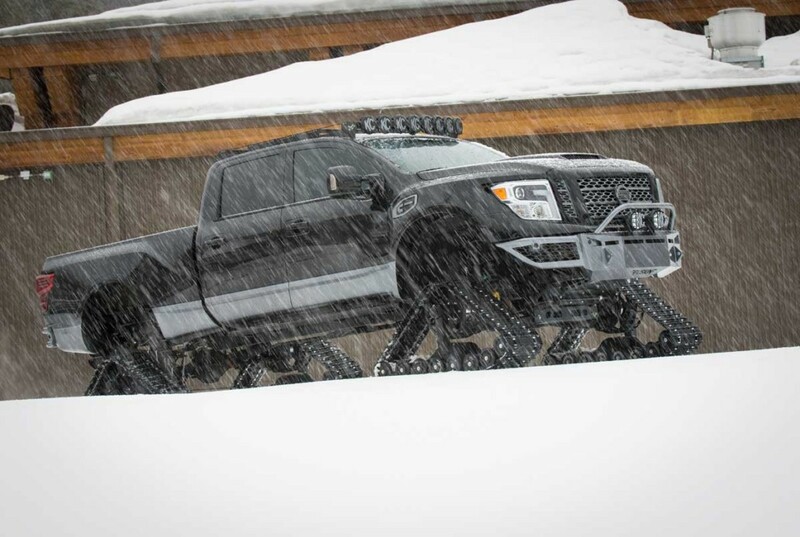 Up top, we threw on an M-Racks Stealth Series Roof Rack that sports a 50″ 8 light KC Hilites Light Bar. Ready to pull, play, explore and get you back by dinner time. 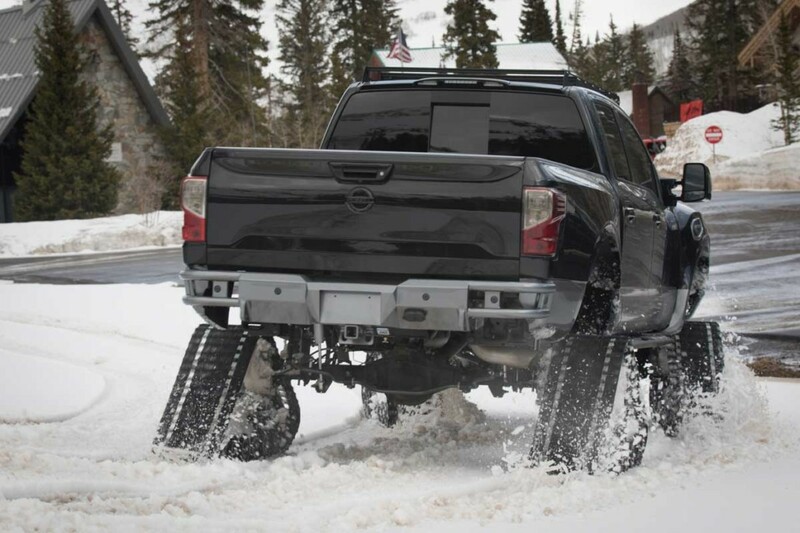 This truck is the perfect daily driver and weekend warrior for just about anyone. Heavy D, Diesel Dave and all of you guys at Diesel Sellerz, I just wanted to say thank you all for the amazing things that you guys build and do for the American people. It’s awesome. I look forward to the next season and can’t wait to be blown away with another creation. You guys rock. We couldn’t do it without you guys! Thank you! I am a firefighter and I would love to own a truck especially one like this!!! It’s awesome!!! As long as you made a purchase while the giveaway was running (started March 27th), then you are in! Every $5 spent earns you one automatic entry to win. Just like the Bearded Zues defeated the Titans. 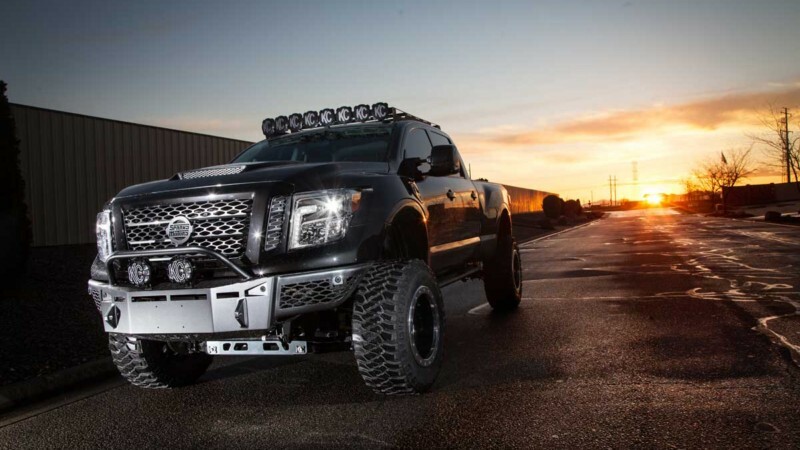 The Beards at Diesel brothers brought that beast back to life. Looks strong and slick, need those tracks here in the Northeast. Will save a spot in the garage. The titan is an awesome truck anything you guys build is awesome I love the truck and I’d be grateful for it I lost my diesel due to the economy and layoffs and I’d give anything to have another I loved that truck I think it’s great what y’all are doing I’m entered into the drawing with what I could afford ….you guys build the baddest trucks on the planet keep up the good work and God bless you and yours just wanted to leave you guys a few lines of thanks for the dream of possibly winning an awesome truck …. You guys rock all them sick rides very awesome my kids record all the shows and pod cast when I am at work so I can watch with them when I am off. I like all the builds can’t wait to see if I won the Titan I ordered 90.00 of shrits so I should have nine tickets God luck. Thanks for then sick rides you come up with. Keep it high and stretched. Dude you got 18 tickets not just 9 good luck …..that is a sweet ride one of my favorite. Love the show. Love the crew. Love diesel. Love America. Thank you guys. 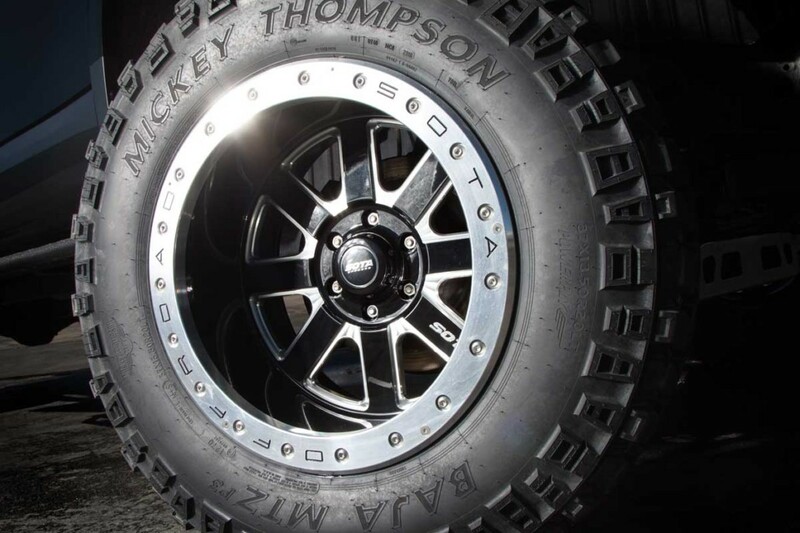 The wheels are by SOTA Off-Road, and are 20×12. you should give away a Chevy k10 with a duramax in it, a 12in. lift and some 44in. patriot tires. and tune it to roll some Coal with some serious horsepower.. 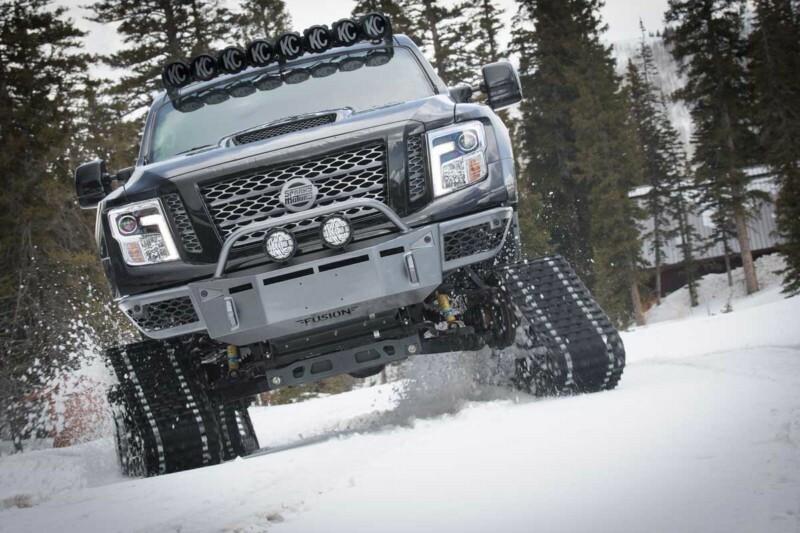 Yes ,damn fine trucks ye are building. Wish I could enter the giveaways but I live in Ireland. We need a crazy truck over her ! I love the smell of diesel in the mornings. Unfortunately they are going to phase out diesel fuel in Europe and UK due to the new findings showing the extremely dangerous particles given off to the air from cars and trucks fuelled by diesel. I would Love to have A Amazing Looking Truck NICE!!!! Your show is awesome I would love to have those trucks here in Tucson Arizona . This track is all in one. I’m from India.